In this box you will find 9 puzzles with several puzzles with different piececounts. 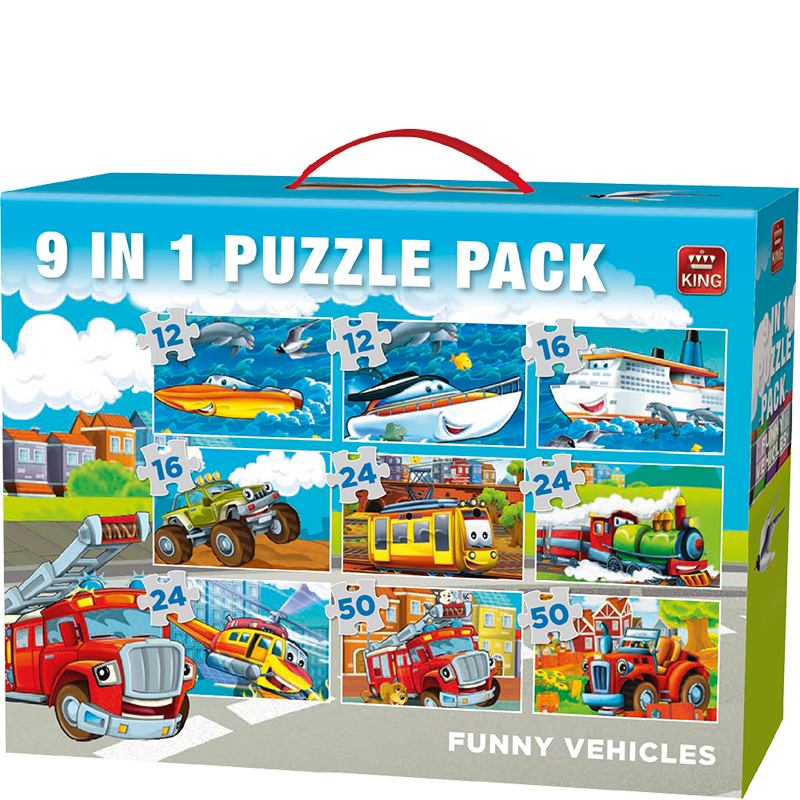 On the puzzles you will see all kinds of vehicles, like boats, trains, fire trucks and much more. Funny puzzles for lots of puzzle fun.